1Conquest % Cash Back. Stackable % Cash Back for customers who have owned or leased a 2005 or newer Non-GM Vehicle for a minimum of 30 days. Allowance Available on Retail Program info. Compatible with % Off and % Conquest Private Offer ONLY. All Programs Effective Until 4/30/2019 Unless Otherwise Indicated. 2The dealer in this advertisement & their marketing firm are not responsible for errors or misprints. Prior Sales Excluded. All incentives to dealer. Vehicle photos intended for illustrative purposes only. Offers apply to select in--stock units while inventory supplies last. *Savings amount in lieu of any special finance rates and cannot be combined with any additional coupons, GM Discount Programs or offers. $6,000.00 is the total and maximum savings after all rebates, coupons and dealer discounts. Savings include GM Supplier Pricing plus dealer discount ( including $500 Ingersoll Coupon) plus rebates, including Chevy Conquest Cash Rebate; must prove current ownership or lease of qualifying 2005 or newer non-GM vehicle. Maximum savings specific to stock # N247173; 4WD ZR2 Crew Cab with MSRP $39,810.00. Your total savings and final"buy for" price will vary depending on availability and the vehicle you choose. Advertised pricing does not include tax, title, DMV Fees or $75 Dealer Doc Fee. Offer applies to retail purchase only. See dealer for complete details. All offers expire 4/30/2019. 1Conquest % Cash Back. Stackable % Cash Back for customers who have owned or leased a 2005 or newer Non-GM Vehicle for a minimum of 30 days. Allowance Available on Retail Program info. Compatible with % Off and % Conquest Private Offer ONLY. All Programs Effective Until 4/30/2019 Unless Otherwise Indicated. 2Must finance through GM Financial. Not available with leases and some other offers. Take delivery by 04-30-2019. See dealer for details. 3Must finance through GM Financial. Not available with leases and some other offers. Take delivery by 04-30-2019. See dealer for details. 4Must finance through GM Financial. Not available with leases and some other offers. Take delivery by 04-30-2019. See dealer for details. 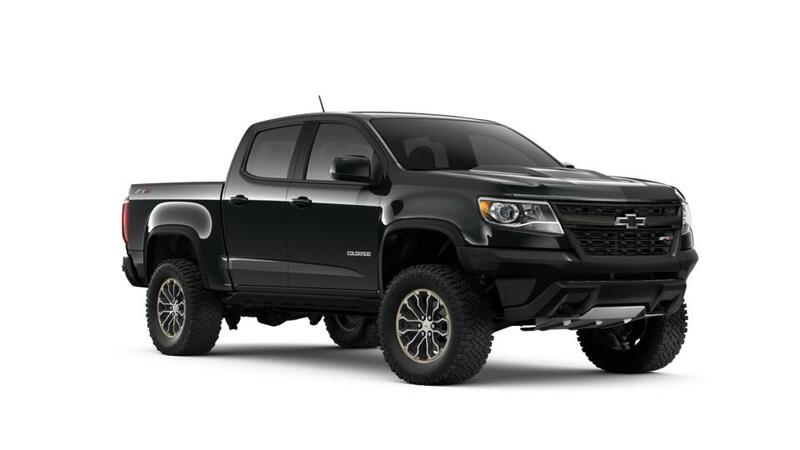 The new Chevrolet Colorado is a trustworthy mid-size pickup with a considerable amount of strength and power. This pickup can tow up to 7,700lbs., and has an available 308hp, so be confident it can tackle heavy jobs. Stay connected, and enjoy a smooth ride with built-in Wi-Fi, and an interior designed for reduced noise and vibration. This mid-size pickup truck also has great fuel economy for a truck, saving you on gas. Go through our inventory of new Chevrolet Colorado models in Pawling, to pick the color and features you want. Visit our dealership, Ingersoll Auto of Pawling, near New Milford and Poughkeepsie, to test drive the new Colorado, and also check out the available deals and specials.